The political argument for trade liberalisation has always been that it is good for the economy. This argument was losing traction even when what was good for the economy was good for your wallet. Now that rising incomes for most people have been detached from a better economy it has even less resonance with the public. This adds edge to the increasingly rancorous debate about the Transatlantic Trade and Investment Partnership ( TTIP ). Trade policy debates used to be about lowering tariffs on goods. They were of limited interest to most people. They promised the public lower prices at a small cost to the public purse. Not surprisingly, only those whose interests were threatened by lower prices cared very much. Tariff barriers to transatlantic trade have all but disappeared. So what is TTIP for? Its purpose is to stimulate investment and trade in services by reducing or eliminating non-tariff barriers to trade. Europe’s growth-less leaders are very keen. Europe’s wage-poor publics much less so. The controversy to date has focussed on the proposed Investor State Disputes Settlement ( ISDS ) provisions. These are intended to protect foreign investments from discrimination or expropriation. In practise they have become a battleground for corporate lawyers seeking to globalise a uniquely American legal doctrine of ‘takings’. This famously led the Swedish utility Vatenfall to sue the German government for compensation for Germany’s decision to close its nuclear power stations. The argument over why a secretive arbitration process is to be preferred over a transparent court process has been loud and long. It is not yet resolved. Nor is it clear why a company should be compensated for failing to properly assess the political risk to investments that might be vulnerable to public policy change. It is also difficult to see what is attractive to governments about putting themselves between the rock and a hard place of being constrained from adopting policies to protect health or the environment for fear some company would sue it for billions of dollars. The loud noise over the ISDS provisions of TTIP has diverted attention from another innocuous sounding proposal that could be as effectively, if less visibly, a constraint on governments’ freedom of action. This is the idea of making European and American regulations compatible with each other. Proposing to reduce regulatory burdens has immediate appeal. It could reduce the costs of meeting high environment or health standards and thus make their achievement more likely. This may even be what the drafters of TTIP intend. If so, they have failed to grasp just how differently the EU and US approach regulations. There are scholarly examinations of these differences. There will be more as the argument over TTIP continues. A blog is not the place for scholarship so let me just flash some warning lights about the problems ahead. One of the ideas for achieving coherence is to have ‘early consultations on significant regulations’. What could possibly be wrong with this? Well, the structure of European policy making involves a considerable amount of pre-legislative consultation and consensus building. In America consultation takes place after legislation as regulators develop the rules for implementing the law. There is no obvious way for early consultations to cross this difference. Partly as a consequence of this difference another big difference emerges. American regulatory practise involves considerable use of the courts to interpret the intent of Congress. Individual, businesses and civil society bodies have, and often use, access to the courts to challenge interpretations. The key decisions on regulations are thus often made in the courts. In Europe, regulators have far more discretion to interpret the law and access to the courts, especially at European level, is restricted and rarely used. Most key decisions are thus made by regulators. It is very difficult to see the EU extending access to the courts to the level taken for granted in the US. Nor is it easy to see American stakeholders, including businesses, being willing to accept restrictions on their access to the courts. Nothing has yet been said publicly by the trade negotiators about how these differences are to be aligned. A third problem arises from different approaches to impact assessment. US law mandates the use of cost-benefit analysis in assessing regulatory impact. To be lawful the economic benefits must exceed the economic costs. The EU uses a precautionary approach. Economic costs and benefits are among the factors to be considered but meeting the objectives of the regulation takes precedence. In the US the economic considerations outweigh the achievement of the objectives. In Europe the achievement of the outcomes outweighs the economic factors. Neither of the problems I have picked out, or the many others, that stand in the way of making regulatory coherence a reality will be resolved in the negotiated text of TTIP. Rather they will be delegated for resolution to the proposed Regulatory Coherence Council. The prospects of significant decisions on the implementation of environmental law disappearing behind the traditional veil of trade secrecy does not inspire confidence. Regulatory coherence cannot be achieved in practise without trust, and trust cannot be achieved in private. 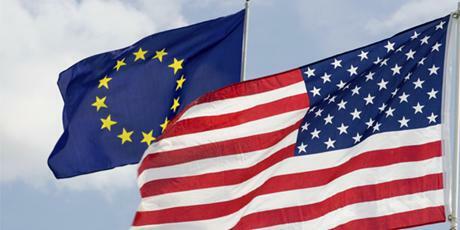 TTIP is extending the reach of trade policy in a way that could impinge damagingly on environmental policy. Trade policy makers need to demonstrate that they are aware of and responsive to this risk. They could start by guaranteeing that the proposed Regulatory Coherence Council has equal access to business and civil society participation. They should also insist that the agendas and papers for all meetings of the Council and its subordinate bodies are published in real time. Since this is an administrative not a commercial arrangement there is no justification at all for secrecy. What environmental issues does the next government need to address?